The first ingredient in these little chocolate candies is, phew, milk chocolate. (The milk chocolate is comprised of sugar, chocolate, skim milk, cocoa butter, lactose, milkfat, a food additive called soy lecithin, salt and artificial flavor.) Then you add more sugar and cornstarch to get those crunchy, colorful coatings. 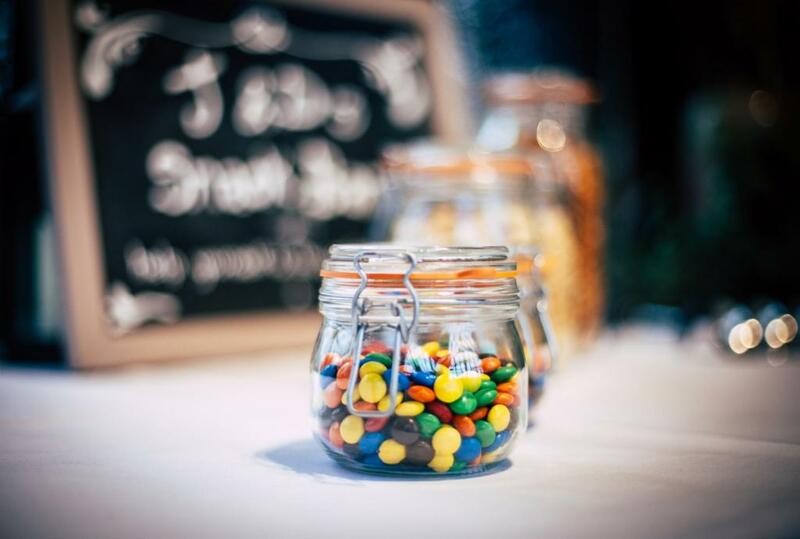 Finally, M&Ms contain less than 1 percent of corn syrup (boo), a thickening agent called dextrin, a whole bunch of artificial dyes to create the rainbow you see inside the bag and gum acacia, which is a common stabilizer, emulsifier and thickening agent used in the food industry. 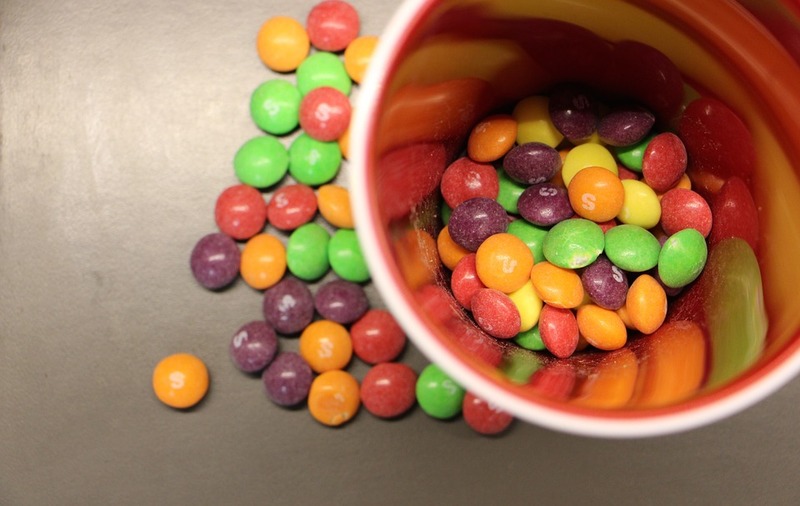 Sorry, Skittles lovers. 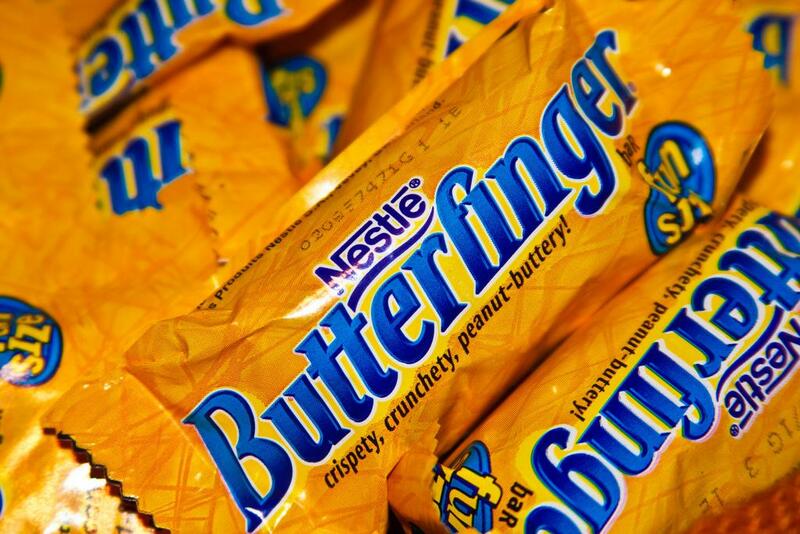 Your first ingredient is sugar, followed by corn syrup (ick), followed by hydrogenated palm kernel oil (double ick). Then there’s less than 2 percent of citric acid (a natural preservative), tapioca dextrin (a hydrolyzed starch that adds crispness), modified corn starch, natural and artificial flavors, a handful of food dyes, a sour food additive called sodium citrate and carnauba wax for that shiny glaze. 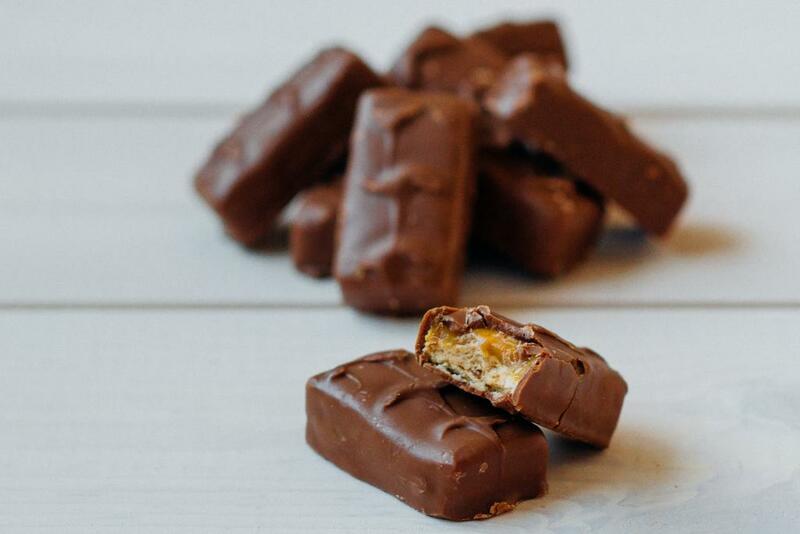 The first ingredient of this crunchy, chewy treat is milk chocolate. (The milk chocolate contains sugar, cocoa butter, chocolate, skim milk, lactose, milkfat, soy lecithin, an emulsifier called polyglycerol polyricinoleate and artificial flavors.) 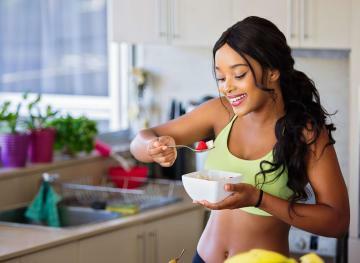 Then comes the sugar and enriched wheat flour, which includes wheat flour, niacin, reduced iron, thiamine mononitrate, riboflavin and folic acid. We also have palm oil (meh), corn syrup (meh again), skim milk and a sweetener called dextrose. 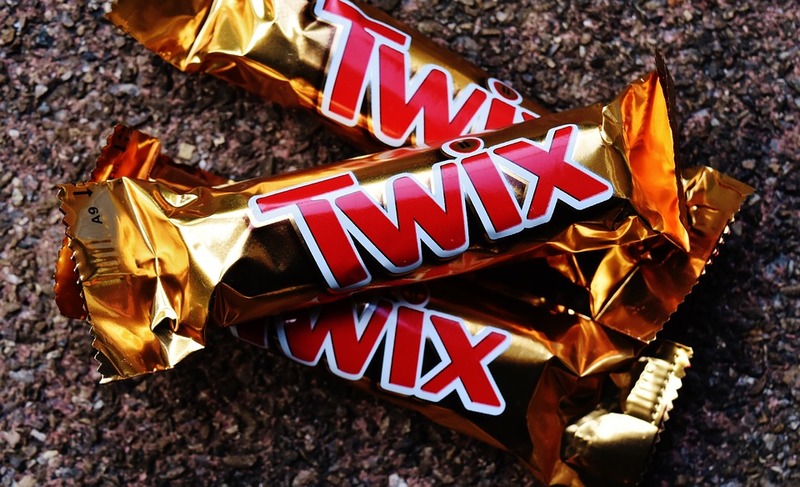 Twix then contains less than 2 percent of modified food starch, salt, cocoa powder, baking soda, soy lecithin and artificial flavor. 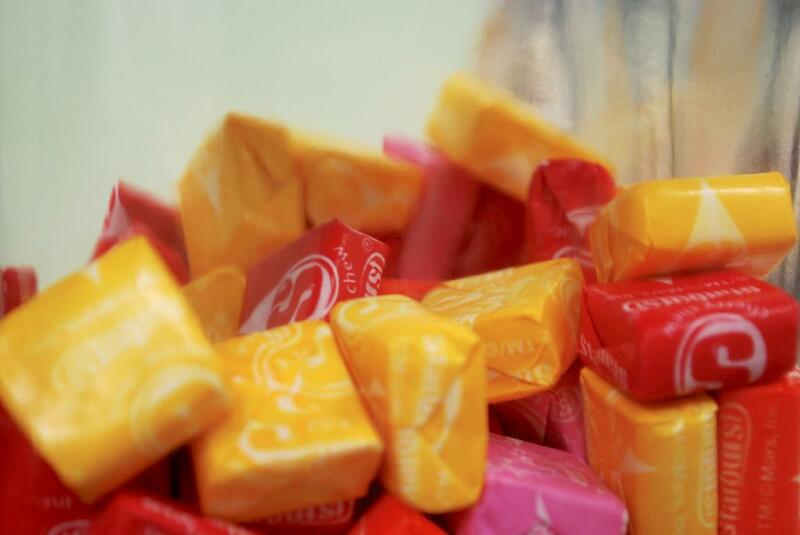 Sadly, the first ingredient in Starburst is corn syrup, followed by sugar and hydrogenated palm kernel oil. (We’re already off to a rough start here.) Then you have fruit juice from concentrate — apple, lemon, strawberry, orange and cherry. And Starburst contain less than 2 percent of citric acid, tapioca dextrin, gelatin, modified corn starch, natural and artificial flavors, ascorbic acid (vitamin C) and food colorings. If you can never seem to get enough of this chocolatey, caramel-filled candy, you’re actually not in the worst shape on this list. The first ingredient in Snickers in milk chocolate, which is comprised of sugar, cocoa butter, chocolate, skim milk, lactose, milkfat, soy lecithin and artificial flavor. Then you have corn syrup (sigh), peanuts, sugar, palm oil, skim milk, lactose, salt, egg whites, spice, natural and artificial flavors, and chili extract. 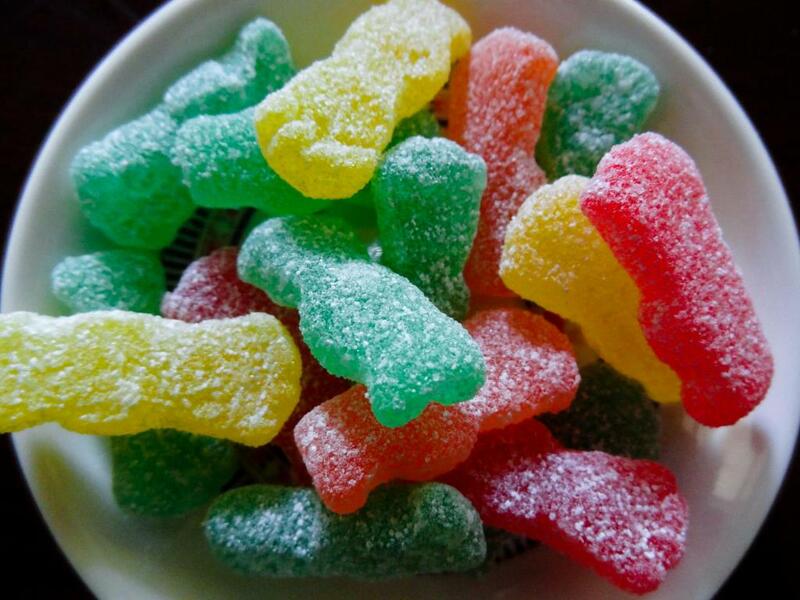 To no one’s surprise, Sour Patch Kids are basically straight sugar with a zing of sourness thrown in for good measure. The first ingredient is sugar, followed by invert sugar (a mixture of glucose and fructose). Then you get corn syrup and modified corn starch for the candy’s structure. 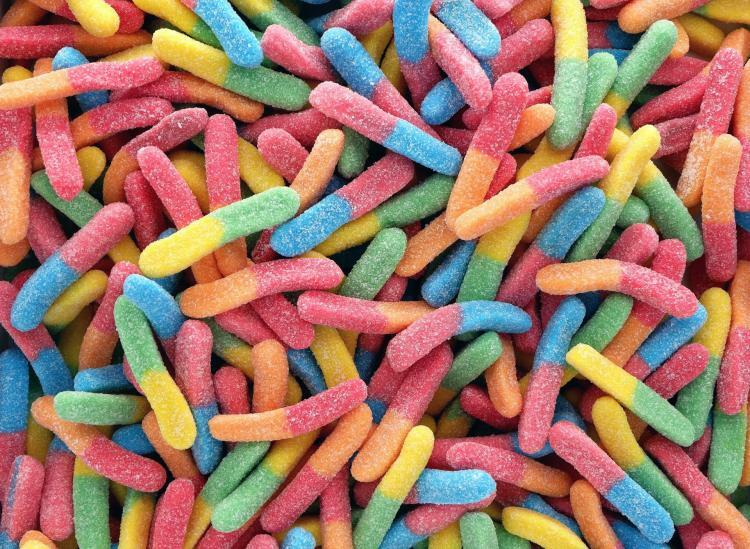 Tartaric acid and citric acid prove the sour factor, and then there’s natural and artificial flavors, along with a handful of food dyes. 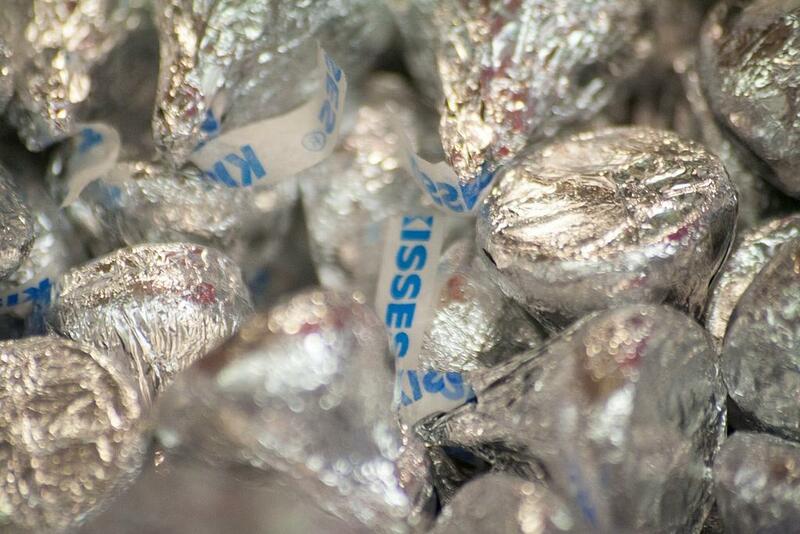 Hershey Kisses have the most simple ingredient list here, likely because the candy itself is fairly straightforward. The first ingredient is milk chocolate, which is made with sugar, milk, chocolate, cocoa butter, lactose, milkfat, soy lecithin and polyglycerol polyricinoleate (an emulsifier we mentioned earlier). The second and final ingredient is vanillin, which is an artificial flavor. Ready for another sugar bomb? 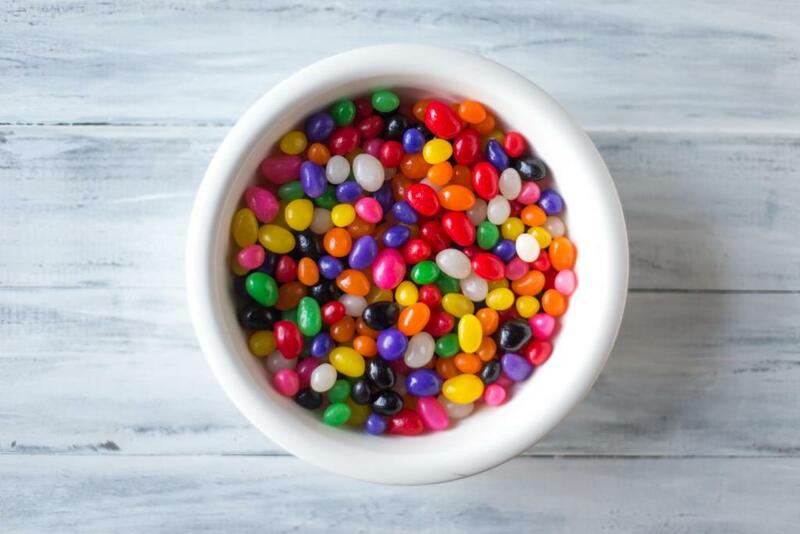 The first ingredient in Jelly Belly jelly beans is sugar, followed by glucose syrup and modified cornstarch. Then you have grape juice concentrate and fruit and vegetable concentrates — spirulina, pumpkin, carrot, black carrot and black currant. (But don’t be fooled into thinking that you’re reaping the nutritional benefits of veggies here.) They also use an acidity regulator and a bunch of flavorings, colorings and glazing agents. Sounds … natural? Here Are The Most Over-The-Top Candy Stores In The U.S.